If you have read many online reviews suggesting you move away from shared hosting to a VPS and are feeling confused, you have come to the right place. Do you really need a VPS for hosting WordPress, an application with not so great requirements? Read on to know more. I’m sure most of you would have started out your site on a shared web hosting plan and now since your site has outgrown, are looking for a better place to host it. In my humble opinion, I do not think VPS hosting is the best solution for all your site’s new requirements. What may be a better solution is either a managed WordPress hosting or even a dedicated server in some cases. Before going for a with a virtual private server, you should analyze the advantages and disadvantages of managing a virtual private server (VPS) so that you can decide if it is a perfect fit for you. First of all, you should realize that VPS is an abbreviation for Virtual Private Server – a technical term which suggests a virtual partition of a physical server. 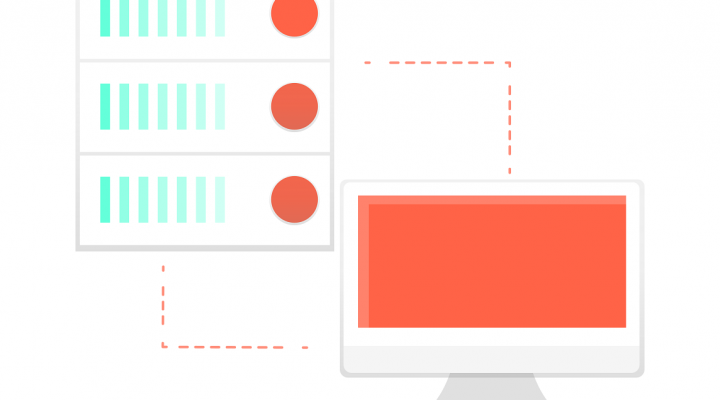 For VPS hosting, the hosting companies create multiple virtual partitions of one physical server so that each site and its files can be kept completely separate. What I like the most about VPS is that it combines both the advantages of shared hosting and dedicated server hosting and puts it in a single package. It allows us to host our site separately in a virtual server with dedicated resources that needn’t be shared with other sites on the same physical server. Also, the cost is very less compared to hosting it in a separate dedicated physical server. As your website outgrows a shared hosting plan I recommend you to immediately migrate it to VPS or managed WordPress hosting. Though VPS provides you with quite a lot of resources, it is powerful and requires some basic knowledge on setting up a server. Also, the task of maintenance lies on your shoulder. How it differs from a managed WordPress hosting is that, in a managed WordPress hosting service, the hosting company themselves take care of aspects like security, speed, updates, daily backups, website uptime, scalability, etc. If you are just getting started with your site, you probably don’t need VPS hosting. For you, a shared hosting plan is more than enough. Shared hosting plans are easy on your wallet and don’t require much technical knowledge to get started with your site. You should look to upgrade to a better plan only when you feel that your site is slowing down and keeps getting unwanted server errors. You have already optimized WordPress and still, it is slow. Your site keeps going down and/or gets 500 internal server error. Your site is often targeted by hackers because of its popularity. Though both offer an upgrade from shared hosting in terms of resources and flexibility, it is also comparable in cost. You should go with VPS hosting if you have the sound technical knowledge and don’t mind setting up and taking care of your own private server. You should also know how to install an operating system on the server, allocate disk space, memory, and configure it to suit your needs. You should go with Managed WordPress hosting if you don’t have any technical knowledge and are not interested in spending your time on setting up servers, installing & configuring WordPress, performing updates, scaling and securing your site, backing up regularly, etc. Now that you’ve learned what it is all about, you should decide on which best suits your need. All the three hosting providers below are hand-picked by me and are well known for their exceptional hosting and customer services. Kinsta is a premium managed WordPress hosting provider offering services for a wide variety of users from bloggers to SMBs and high traffic enterprises. Kinsta’s entire infrastructure is powered by Google Cloud Platform, which guarantees blazing fast site speed. They also provide advanced security features like daily uptime checks, automatic backups, SSL integration, DDoS protection, malware scanning, hack fix guarantee, a custom designed site management dashboard, expert 24/7 support team, many worldwide data centers to choose from, etc. SiteGround is known for its affordable and quality web hosting services among the WordPress community. SiteGround was founded in 2004 and services more than 500,000 domains worldwide. It provides various types of hosting for customers with various needs. 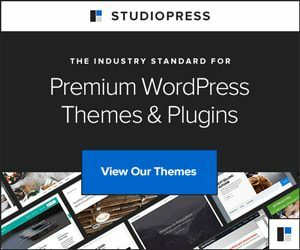 For an easy start, SiteGround provides you with 1-click WordPress installer and free website transfer. You can count on them for managed auto updates and easy command line management with WP-CLI. For super speed, they offer SuperCacher on all WordPress plans. Developers can make use of SiteGround’s WP staging and Git integration on their GoGeek, Cloud and Dedicated plans. Being one of the oldest web hosting companies, Bluehost has become the most popular household name when it comes to WordPress hosting. They are one of the officially recommended WordPress hosting providers. When your site is hosted on Bluehost, you will never have to worry about your website being slow even when there is a lot of traffic. Their customer friendly support team is always there to assist you when you need them either by phone, email or live chat. They are simply rated the number one in web hosting for bloggers small businesses. Thank you for your help. I really appreciate it. You’re welcome Susie. Happy to help. Hmm, sounds like managed hosting is the preferred option for me. It is if you’d like to save time and just focus on creating content or running your business.